For foreign companies, deciding where to establish a direct presence in Asia can be a difficult process. Where once only a handful of the region’s nations fit the bill of being simultaneously inexpensive, safe and appropriate for foreign direct investment (FDI), now a number of other countries are shortening the gap between themselves and the region’s biggest economies. In particular, India appears on course to rival its neighbor China as a destination for FDI, and a number of the smaller economies in the Association of Southeast Asian Nations (ASEAN) are growing at a faster pace than ever before. For these reasons, businesses must keep up-to-date with the numerous tax systems of the region. The tax laws of Asia, although connected to a certain extent through the region’s various double taxation agreements (DTAs), can vary dramatically from nation to nation. Understanding them can therefore help inform which of the region’s nations best suits a particular business operation. 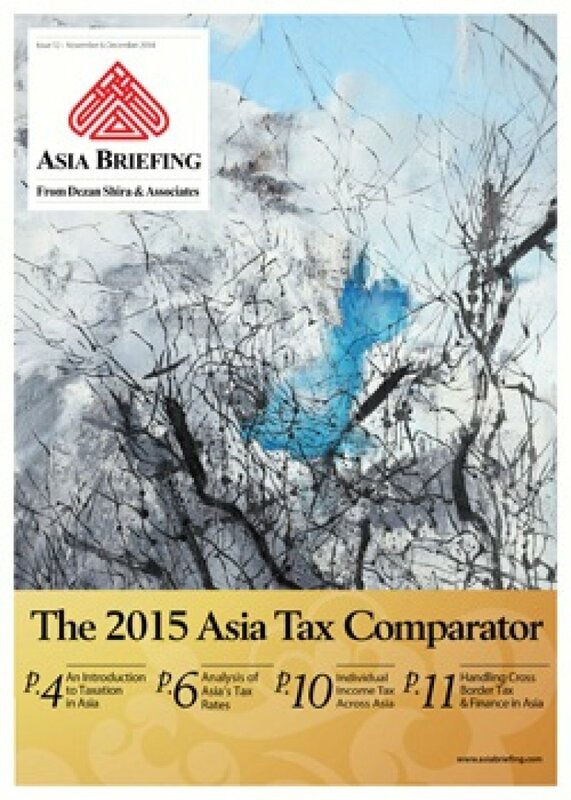 As the investor climate of Asia develops and its various rates of taxation continue to fluctuate, we hope that this issue of Asia Briefing can provide readers with a full understanding of the region’s current tax systems.